Crowsong for the Stricken has won the International Book Award in Literary Fiction 2018 from Book Fest, as well as the American Fiction Award in Literary Fiction from American Book Fest. It is also a Kirkus Reviews Best Indie Book of 2017. 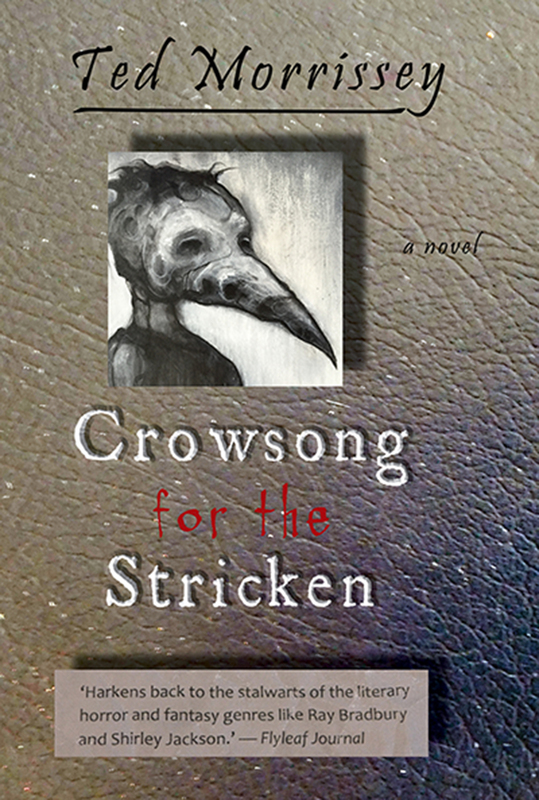 Crowsong for the Stricken is a prismatic novel consisting of twelve pieces orbiting the uncanny events in an isolated Midwestern village. Are the events the work of the divine or the demonic? Is there a more human explanation? The answer may depend on the order in which one encounters the various pieces. Among them is the award-winning title story, which was published in an illustrated edition by Flyleaf Journal. Central to the book is the crowlike figure of Plague, who haunts the villagers, especially the children. More than anything, though, it is a village of secrets–secrets people keep from each other, and secrets they keep from themselves. The novel is a prime example of the burgeoning literary style known as Midwestern Gothic. The novel is available in hardcover (at Amazon, Barnes & Noble, and everywhere), paperback, and in a Kindle edition. The Curvatures of Hurt, which is part of Crowsong, is available as a stand-alone paperback, Kindle edition, and as an audiobook, featuring a reading by Jenny Bacon.